The 15 Inch CGA EGA VGA to XGA Wide Viewing-Angle LCD Monitor can accept a wide range of RGB inputs including CGA, EGA, VGA, SVGA to XGA. 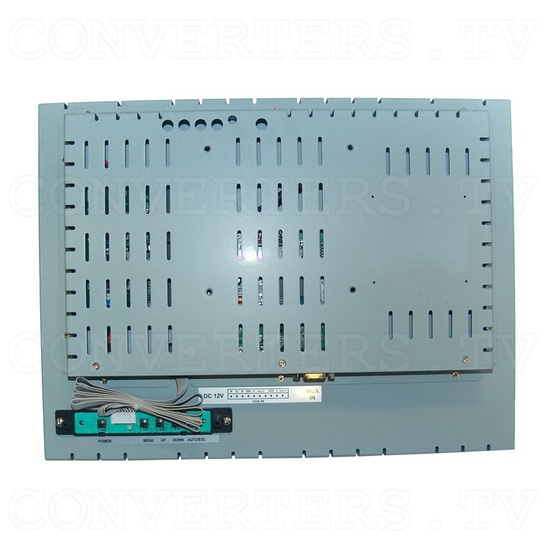 Ideal as an update for superceded CRT and LCD monitors, this unit is made for CNC Industrial and Commercial applications. The advanced wide viewing-angle allows the screen to be easily watched from the sides or top or bottom. The VESA plug and play system allows the monitor to automatically adjust itself to the match the frequency of the user's device. For users connecting this model to a computer, it uses Display Data Channel (DDC) to send Extended Display Identification Data (EDID) to the computer, so the computer system can be set to monitor auto adjust. This model of monitor will auto adjust itself to enhance the picture quality of the device connected to it. The self test function will check to ensure all functions of the monitor are working properly. 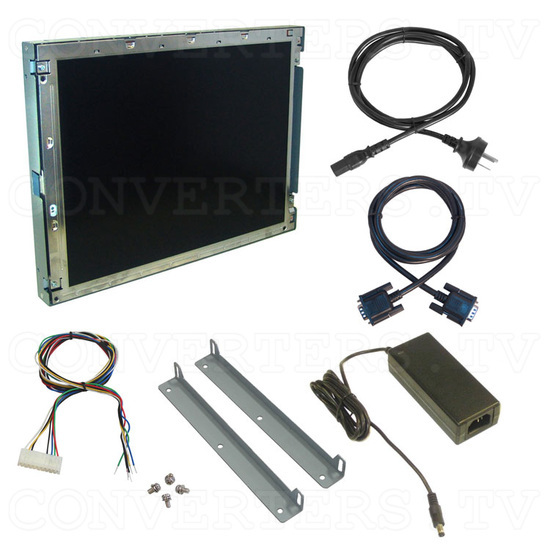 To ensure maximum compatibility with input signals, it has more timing data and resolutions than other LCD panel. The current resolution and timing information for the connected input device is displayed in the top bar of the OSD menu. As well as image repositioning, the all important crush feature allows you to shrink the size of the image both horizontal and vertically to make the image fit on the screen. Added with the wide viewing-angle capability of this new model, the displayed image is clearer, brighter and easier to see. The easy to understand and clear graphics of the OSD (On Screen Display) menu makes it simpler to do any changes or adjustments that may be necessary. 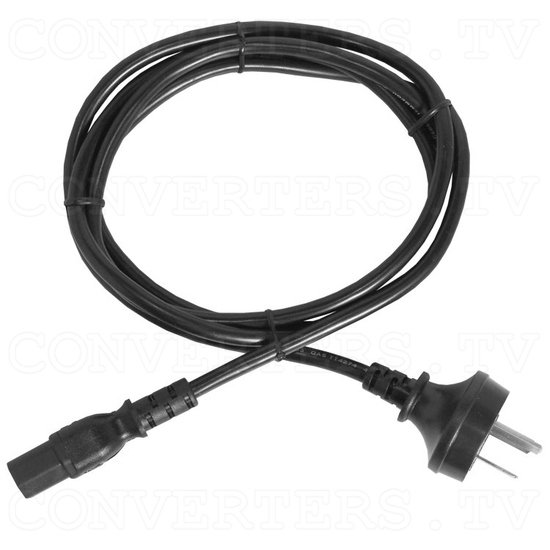 Power Supply for the 15 Inch CGA EGA VGA to SVGA LCD Panel can be 110VAC or 240VAC, regulated via a Universal Switch Mode Power Adapter to 12VDC 4A (please specify power cord required when ordering). Please Note: Wide Viewing-Angle is not the same as Wide Screen Monitor. 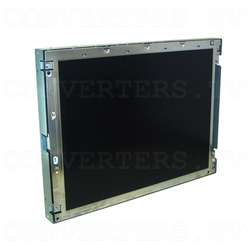 Please Note: This new model replaces our ID#650 15" LCD Panel. 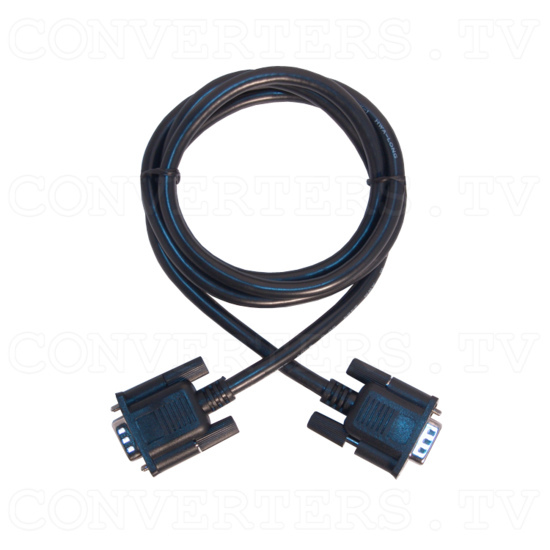 The 15 Inch CGA EGA VGA to XGA Wide Viewing-Angle LCD Monitor can accept a wide range of RGB inputs including CGA, EGA, VGA, SVGA to XGA. 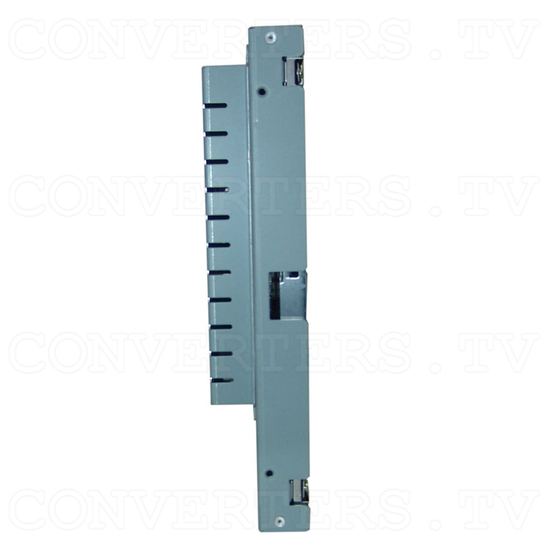 Ideal as an update for superceded CRT and LCD monitors, this unit is made for CNC Industrial and Commercial applications. The advanced wide viewing-angle allows the screen to be easily watched from the sides or top or bottom. The VESA plug and play system allows the monitor to automatically adjust itself to the match the frequency of the user's device. For users connecting this model to a computer, it uses Display Data Channel (DDC) to send Extended Display Identification Data (EDID) to the computer, so the computer system can be set to monitor auto adjust. This model of monitor will auto adjust itself to enhance the picture quality of the device connected to it. The self test function will check to ensure all functions of the monitor are working properly. 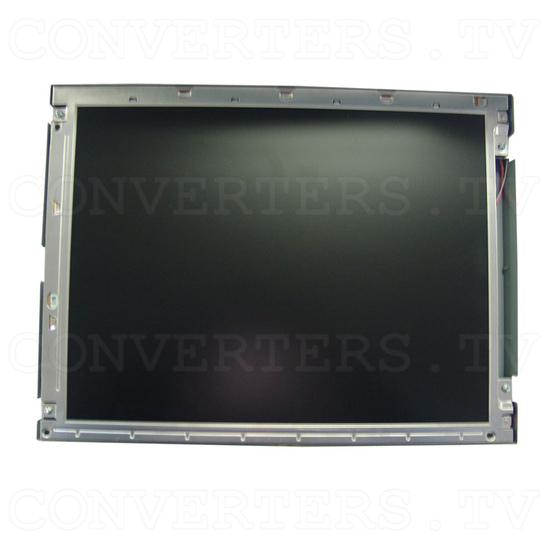 To ensure maximum compatibility with input signals, it has more timing data and resolutions than other LCD panel. The current resolution and timing information for the connected input device is displayed in the top bar of the OSD menu. As well as image repositioning, the all important crush feature allows you to shrink the size of the image both horizontal and vertically to make the image fit on the screen. Added with the wide viewing-angle capability of this new model, the displayed image is clearer, brighter and easier to see. The easy to understand and clear graphics of the OSD (On Screen Display) menu makes it simpler to do any changes or adjustments that may be necessary. 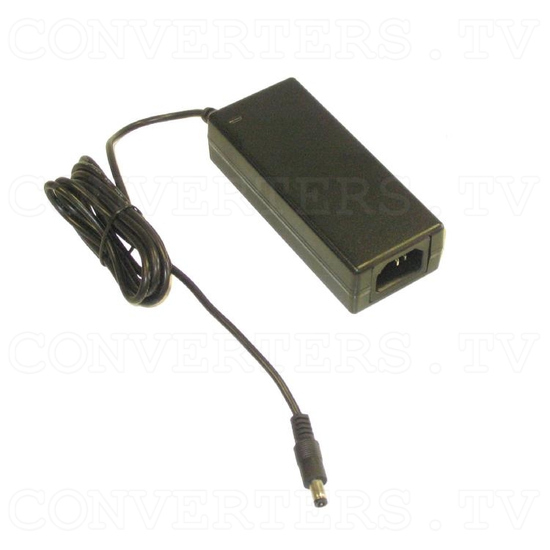 Power Supply for the 15 Inch CGA EGA VGA to SVGA LCD Panel can be 110VAC or 240VAC, regulated via a Universal Switch Mode Power Adapter to 12VDC 4A (please specify power cord required when ordering). Please Note: Wide Viewing-Angle is not the same as Wide Screen Monitor. 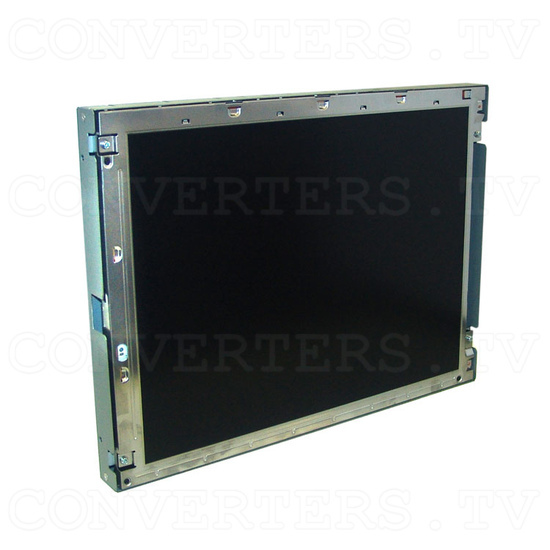 Please Note: This new model replaces our ID#650 15" LCD Panel. 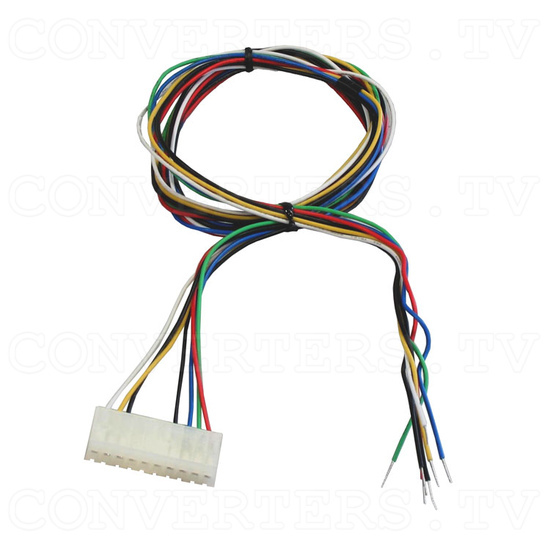 RGB CGA/EGA Input connections: 10 pin in-line plug. RGB VGA Input connection: 15 pin D-sub socket. OSD Funcions: Contrast, Brightness, Sharpness, Phase, Clocking, Colour Temperature, Colour RGB, Auto Colour, Image Alignment (H and V), Screen test, OSD Timer, Language and Input source. Power Management: VESA-DPMS 40 watts. Power down mode ≤3 Watts.